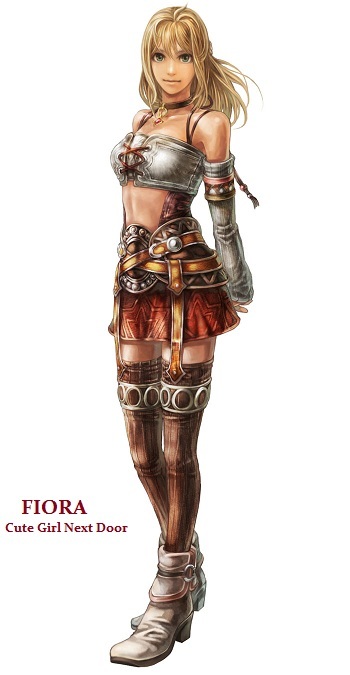 Fiora is Shulk's childhood friend, and also Dunban's younger sister. After the Battle of Sword Valley, she is reluctant to let her brother use the Monado again, as using the Monado has caused Dunban much harm. Fiora has a soft spot for Shulk and often cooks for him. She is kind and gentle, a true friend to those around her. Fiora uses dual knives in battle.